The Acumatica ISV Third-Party solutions are available in the Extensions Catalog with applications to extend your functionality. An Independent software vendor (ISV) is a software developer of Acumatica ISV third-party solutions that integrate to Acumatica. Every business is unique and the ISV developers have addressed the unique requirements of Acumatica customers with robust tools that are integrated to Acumatica. Our consultants have worked with numerous ISV third-party solutions for Acumatica cloud ERP. We assist you in determining the best fit for your budget and business requirements. Take the first step and contact us today! What is an Acumatica ISV? What Acumatica ISV third-party solutions help you streamline operations? Are you interested in learning how to optimize your Acumatica solution? How do I know if an ISV solution is right for my business? Extending the capabilities of Acumatica ERP with an ISV add-on is often the best and most cost-effective solution for companies with changing business requirements. Our Stratotech Partners team helps you evaluate and implement the best ISV option to help solve your challenges and meet your growth goals. 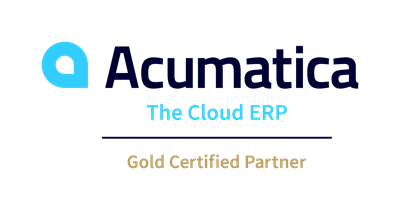 The modern Acumatica cloud ERP platform helps ensure tight integration and seamless updates to your ISV enhancements. You eliminate the struggle with manual processes that occur with disconnected and outdated systems. We specialize in Acumatica’s Business Intelligence, Customer Management (CRM), Distribution Edition, Commerce Management, Field Service Edition, Financial Management, Manufacturing Edition and Project Accounting. Our experience in working with ISV add-on solutions ranges from implementing shipping, barcoding, inventory optimization and supply chain management, and EDI to sales tax, business intelligence, and team collaboration. Take the guesswork out of finding the right solution for you with our industry experience. We help Acumatica customers optimize the existing Acumatica solution and with ISV selection and implementation.